UPDATE 3: Some people are noticing that these prices to Finland are still showing up on certain travel sites as bookable. On CheapoAir.com for example, October 19 to 25 is $397 roundtrip after taxes, and if you use promo code NY15 it brings it down to $377. They're likely using a similar data source, and there's a good chance the booking wouldn't go through with the airline, like with Vayama, but could be worth a shot. Webjet.ca is another one showing the sub $400 prices. UPDATE 2: I've heard from a few people that said Vayama has contacted them to tell them that their ticket could not be issued. That's not a good thing to hear, and I apologize for it. In the U.S. they have some new regulations to protect against this sort of thing, and you can file a complaint against the booking agency and airline to have your booking honored. I'm not sure if it would apply here, since the flight was originating from Canada, but Vayama is an American company, so it could be worth a shot. A ticket # would have needed to be issued though, and I'm not sure if anyone actually received one or not? UPDATE: October 19 - 25 is actually even cheaper, at $381. Maybe there are some other $381 date combos out there? It's pretty rare to see amazing deals to Finland! The cheap prices look to be mostly focused on September and October. 2. 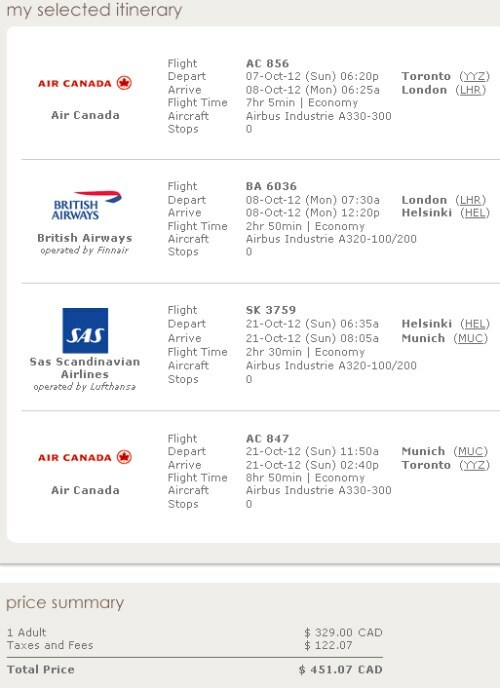 Search for a Sunday to Sunday flight from Toronto to Helsinki, Finland in September or October. 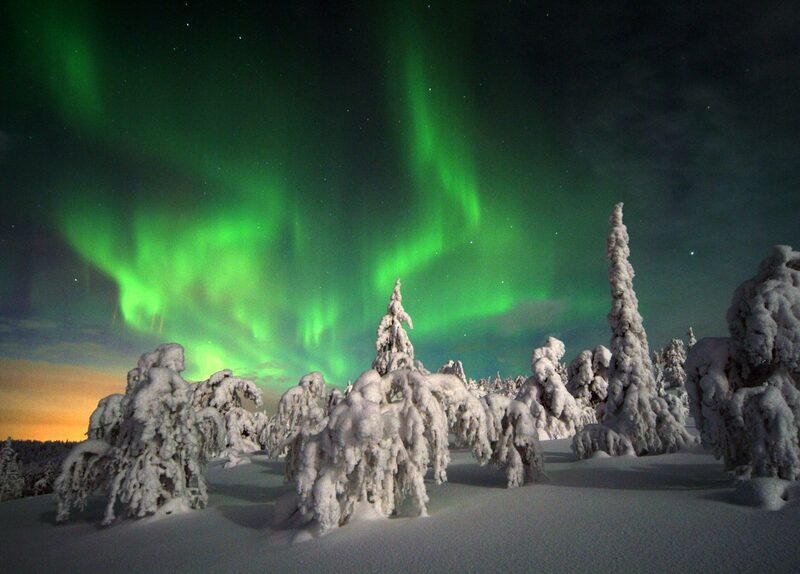 toronto, yyz, flight deals, europe, northern europe, nordic countries, scandinavia, helsinki, findland and hel. 11 Responses to "Toronto to Helsinki, Finland - $451 roundtrip after taxes"
Wow, what an INSANE deal! Too bad it's during Sept/Oct, when Helsinki is practically dead. Still, a good price! In your screenshot, I'm surprised that the connection at Heathrow is allowed, one hour is really tight for Heathrow if they're still forcing you to go through security on connection and if they have those buses to the "gate" which is at the tarmack. Do we get any stop over @ LHR? Did anyone get a confirmed ticket out of this deal? booked through both sites. Received confirmation but an hour later was notified it was an error. Did anyone actually receive an eticket? Mine has to be real... confirmation received, res code works on AC website and the payment went through. Mine works.. tickets booked, confirmed.. called AC - its good.